Full-Service Digital Marketing agency Absolute Digital Media have been announced as a nominee for the Charity Campaign of the Year award at the UK Biddable Media Awards 2019. This nomination comes as a result of their work with The National Childbirth Trust on their PPC campaign. Absolute Digital Media offer a range of services, from SEO and content marketing to social media and web design but it’s their PPC service that is being celebrated with this nomination. The National Childbirth Trust approached Absolute Digital Media seeking guidance and support in optimising their PPC campaigns and ensuring their campaigns continued to follow Google Grant guidelines. Through a tailored PPC strategy, Absolute Digital Media secured a 214% increase in click-through rate, a 15.25% improvement for cost-per-click and a 52% rise in conversions for the antenatal and prenatal courses. This not only enhanced their ROI, but it helped to improve visibility and help to provide the charity with the support it deserves. 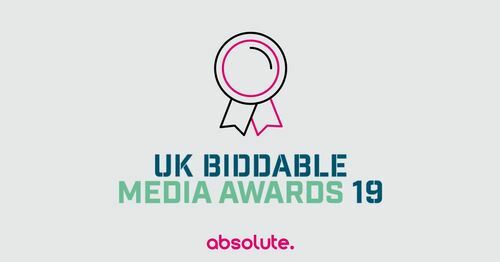 The UK Biddable Media Awards provides a celebration of the best agencies, individuals and professionals in the biddable media industry, taking results, ROI, development and more into consideration in an extensive judging process. The winners will be announced at Montcalm Marble Arch on 7th March this year. To find out more about Absolute Digital Media or their work with The National Childbirth Trust, visit their website or contact the team on 0800 088 6000. This press release was distributed by ResponseSource Press Release Wire on behalf of Absolute Digital Media in the following categories: Media & Marketing, for more information visit https://pressreleasewire.responsesource.com/about.